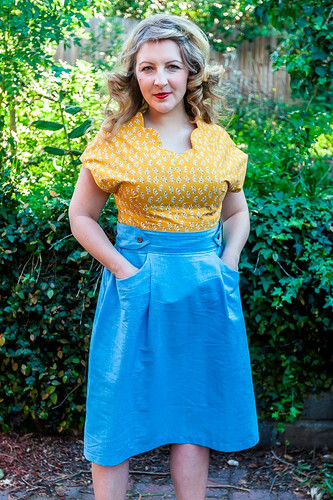 We recently caught up with Abby from Bluegingerdoll Patterns who will be teaching a weekend workshop on March the 1st and 2nd in the Handmaker's Factory studio. We thought we'd get to know her a little better and find out more about what she does. Hi Abby! Tell us a bit about yourself. 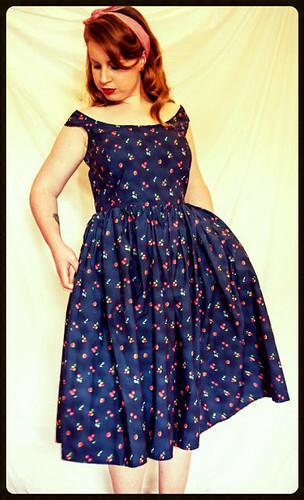 I'm Abby and I design and create vintage inspired sewing patterns of my indie pattern company, Bluegingerdoll. I started Bluegingerdoll in 2012 and it took to 2013 to get it off the ground with the first release, the Billie Jean dress. Since then I have released 3 more patterns, with a heap more in the works for release this year. I'm based in Melbourne and I currently work a 9-5 job, while whittling away till the late hours each night on Bluegingerdoll. What lead you to take up sewing and how did you learn? I was taught sewing in high school briefly, sewing up a toy football and pink tracksuit pants that were way too small! But to be honest I really did take to sewing. Fast forward to the end of my 20's and I become obsessed and haven't stopped since! Thanks to my mum, I picked it up even quicker. I take a lot of inspiration from the 40's, 50's and 60's.They are era's that celebrated the female figure, with designs that were flattering and tend to accentuate all the right curves. Tell us a little about the things you make. I love to sew little projects that get me back to the basics of sewing and remind why its fun. I love sewing little bits and pieces for me and the house like cushions for the couches, easy peasy skirts to wear to work and little zipper pouches. 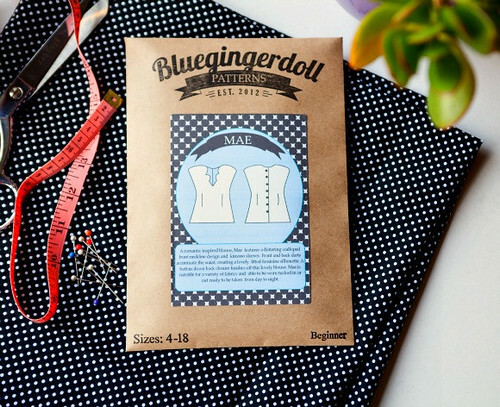 You design your own sewing patterns, tell us why? I started drafting sewing patterns, for a few reasons, one being that the commercial patterns that are available aren't really inspiring and the designs not really my style at all, and let’s not talk about the random and constant fitting issues with the patterns. Original vintage patterns were what I usual sewed with, but were becoming increasingly expensive and hard to find anything in my size. So I guess the drafting come from necessity, and it felt like a natural creative step from sewing as well. I also had all these design ideas but no way of creating them unless I drafted the actual pattern myself. So I started to teach myself to draft patterns, first starting with modifying vintage patterns then onto the drafting patterns from scratch. I decided my designs were worth sharing with the world, and so Bluegingerdoll was born. What are you 'must have' tools? Do you have any advice for those wanting to take up sewing or pattern making? Get yourself some good sewing/pattern making reference books to help you through. Dress Your Own Dress Patterns by Adele P. Margolis is a great beginners book, for those who would like to dip their toes into pattern making, it's easy and clear to understand. It was the first book I picked up when I started to learn about pattern making and continues to be a great resource for me to refer to. Also, take a class to get the basics down pat and be taught the right way. But I guess just jump in and start, have fun with it and start with just the basics so you don't get too overwhelmed with the whole process and take your time with each new skill. We're really looking forward to having Abby in the studio with us. 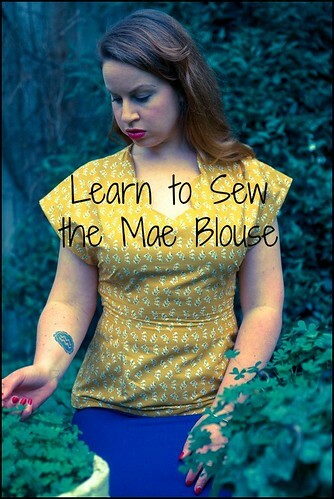 If you'd like to learn to sew the Mae blouse with Abby you can book your spot here!